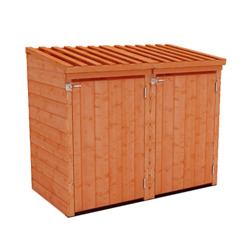 Hide away your wheelie bin with this wonderful Tiger Bin Store. 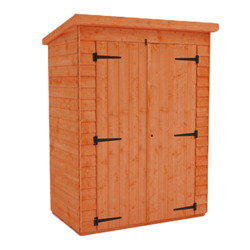 Complete the look of your garden by concealing the unsightly wheelie bin in a strong and secure surround. 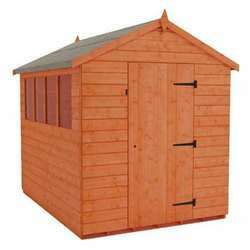 A garden shed does come pre treated with a cedar red water based preservative for storage and transport purposes. A log cabin comes untreated. 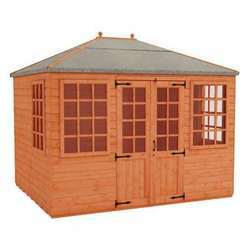 However, we do recommend that you retreat your garden building with a high quality solvent based wood preserver and we offer various types and colours of treatment to treat the shed yourself. 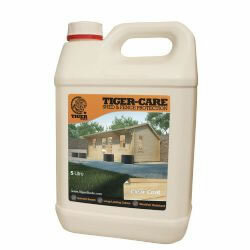 Our very own high quality Tigercare preserver offers maximum protection of your garden shed or fence, manufactured by preserver specialists AChem. 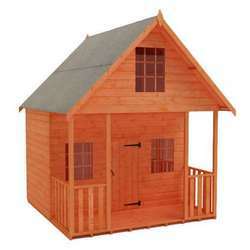 Our solvent based wood treatment will penetrate deep into the wood giving years of protection against the weather. 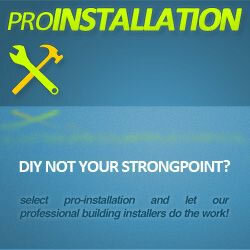 It will enhance timber grain with a rich long lasting protection. A water repellent formula which is harmless to plants when dry. 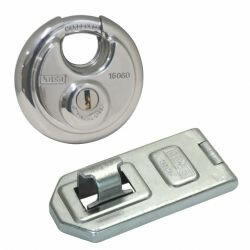 Make your garden building extra secure with this fantastic combo offer. 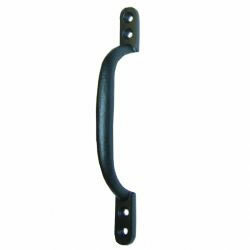 The 120mm Kasp Hasp & Staple is specially designed to complement the 60mm Kasp disk padlock and is ideal for all our wooden sheds and garden storage buildings. 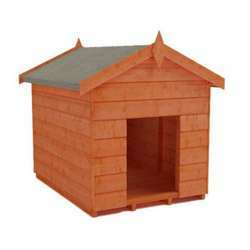 Hide away your wheelie bin with this wonderful Tiger Bin Store. 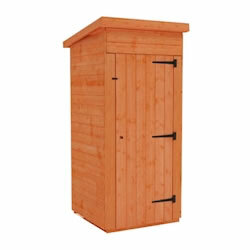 Complete the look of your garden by concealing the unsightly wheelie bin in a strong and secure surround. 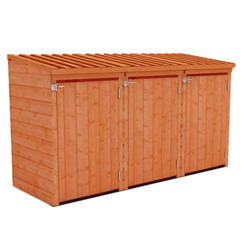 The Single Tiger Bin Store is perfect for those with one wheelie bin who wants it protected and kept away, but still needs to use on a frequent basis. The innovative internal chain allows you to lift the bin store and wheelie bin lid together making that big tidy up that little bit less of a chore. Access to the bin is ideal, with a simple but very effective latch allowing the bin to be removed at any time, and with ease. 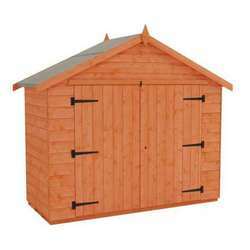 The slatted roof allows the air to escape and circulate and not trap unpleasant smells inside, which you may find quite apparent on many cheap competitor imitations. 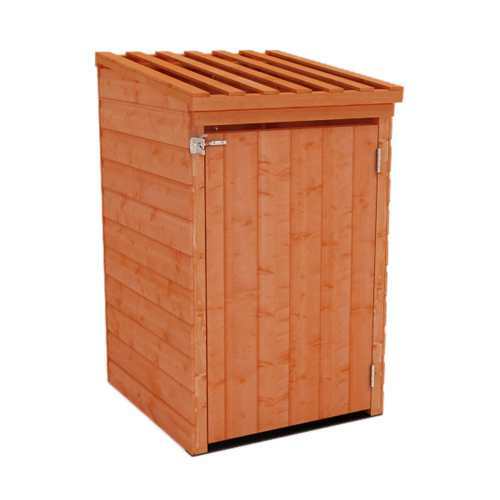 This could just be the perfect wooden bin store you are looking for. 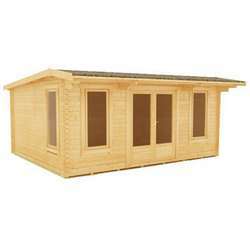 It is essential that this building is assembled strictly in accordance with the instructions supplied on a firm and level base constructed from a suitably durable material. It should also be treated shortly after assembly and then annually thereafter with an appropriate high quality preservative. For more information on how to correctly assemble and maintain your garden building please consult our comprehensive help centre.